As more and more people seek locally grown food, grass-fed meats and organic produce, independent, family owned and operated agriculture has expanded throughout the United States. Author Pamela Walker and photographer Linda Walsh review eleven farming and ranching families who are part of this food revival. It’s worth a read. Pamela even took my advice and removed the word “Sustainable” from the title. A great new book about my favorite herb/food plant that enjoys near mythic status among cooks, chefs, diners, and enthusiasts of natural remedies. Garlic cultivation occupies over 2 million acres of farmland worldwide, yet even garlic fanciers are often unable to tell hardneck from softneck, or Purple Stripe from Rocambole. 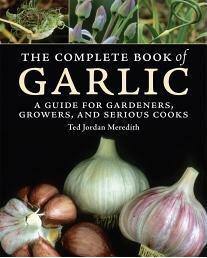 This book includes information on growing and buying garlic and recommendations for the best-tasting cultivars for specific uses and climates, along with lists of garlic sources and organizations. Don’t just read this book - plant some. Garlic should be planted in October. Steve Huddleston is the senior horticulturist at the Fort Worth Botanic Gardens. 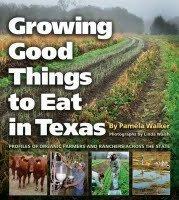 This book is targeted directly at gardeners in Dallas, Tarrant, Collin, Ellis, Denton and Rockwall. I recommend it with a big asterisk. The plant information, for the most part is very good, although a great deal of it seems to come from other books by Pamela Crawford. The companion plant information is quite helpful for beginners. On the other hand, the bed preparation, fertilization and pest control information in the book is old school and not strongly organic at all, as some of this book’s marketing has proclaimed. To these authors, organics is a second rate way to go and some of the least effective organic products are the main ones they mention. It’s been a long time since we’ve recommended Ivory soap and water, beer in a dish or salt spray. The explanations on compost and organic fertilizers are quite lacking and the pushing of one specific “time-release product” synthetic fertilizer all through the book is concerning. If Steve will agree to be on my radio show after reading this, we’ll debate these issues in more detail.